Suffolk Axis is a registered charity (Charitable Incorporated Organization) providing daytime activities and events to older adults and adults with physical/sensory disabilities. Established almost 30 years ago, we offer a friendly and relaxed atmosphere where you can meet with friends, develop new skills, and participate in outings and activities. Suffolk Axis is also involved in raising awareness of the issues faced by people with disabilities and campaigns for change and improvement. We are actively involved with wider groups such as the Suffolk Coalition for Disabled People, the Mid Suffolk Consortium for Disabled People, and the Mid Suffolk Partnership. For over 30 years Mid Suffolk Axis has provided friendship and support to adults with physical and/or sensory disabilities. 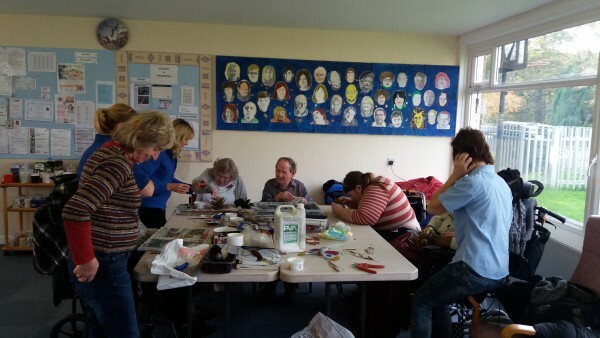 We are a daytime club with a regular and stimulating timetable of activities and excursions, including arts and crafts, music and movement, and outings. As one of the few charities in Suffolk to accept adults with a physical and/or sensory disability, Axis provides a much needed service and our members travel from far and wide to reach us.